The 6th Delta State Sports Festival has been scheduled to hold from May 8-12, 2017 in four venues in the state. They are Asaba, Agbor, Obiaruku and Ozoro. According to a statement signed by a member of the organising committee of the festival, Mr. Sunny Edoge, the opening and closing ceremonies of the games will take place on the 8th and 12th at the Ozoro Polytechnic Ultra Modern Sports Stadium, Ozoro. The festival, which will be declared open by the Governor of Delta State, Senator Dr. Ifeanyi Okowa, is expected to attract other dignitaries and sports enthusiasts from within and outside the state including the Minister of Sports, Barr. 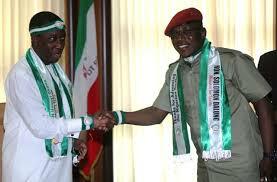 Solomon Dalung, who will be Special Guest of Honour. In all, 24 sports will feature during the festival: they are Athletics, Para- Athletics and Football which will take place at Ozoro, while athletes in Swimming and Cycling will be competing for honours at Obiaruku and Agbor respectively. Other sports that will take place in Asaba are Boxing, Chess, Badminton, Judo, Kungfu, Karate, Golf, Gymnastics, Scrabble, Ayo, Table Tennis, Squash, Para-Table Tennis, Wrestling, Taekwondo, Weightlifting, Power Lifting, Tennis and Para-Tennis. Each of the 25 Local Government Areas in the State is expected to conduct a mini sports meet to select, prepare and present athletes that will the area in this festival. A minimum of fifty athletes are expected to represent each Local Government Area. The state programmed and non-programmed athletes will be given the opportunity to compete for honours at the festival which will also be used for trials and selection of athletes that will represent the state in future zonal, national and international sports competitions. The Local Government Areas that emerge first, second and third will win cash prizes and trophies, while the winning athletes will receive medals and be opportuned to be absorbed into the sports programme of the state.